This could be a huge moment for global food systems. The Japanese government seems poised to rule that CRISPR-edited foods are safe to eat. At least, that’s the recommendation made by a panel of scientists who just published a report on how gene-edited foods could safely and responsibly be introduced into the marketplace. Now the final decision rests on the Japanese Ministry of Health, Labour, and Welfare, according to Science Magazine — a potentially transitional moment in global food systems. “There is little difference between traditional breeding methods and gene editing in terms of safety,” panel chair Hirohito Sone, an endocrinologist at Niigata University, told NHK. The advisory panel concluded that CRISPR-edited foods shouldn’t have to go through any more safety testing than anything else. But that’s only if the scientists who did the gene editing didn’t leave any foreign DNA — genes taken from any other organism — in the final product. 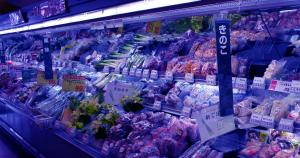 Japan has struggled with genetically-altered foods in the past, Science reports. When Japan approved the sale of genetically modified foods — which by their very nature contain foreign DNA — the public largely rejected them. To prevent a similar backlash, many of the recommendations made by the Japanese advisory panel promote transparency so that consumers know exactly what they’re buying and how it does and doesn’t differ from other foods. “Thorough explanations [of the new technologies] are needed to ease public concerns,” Sone said.